If one thing is for certain in the world of tourism in 2018 – it is that Croatia’s star is rising. Croatia’s population of four million managed to get to the final of the greatest show on earth: The World Cup. Now Croatia is putting on its own show at home. Before we discuss where to go in Croatia, it would be useful to explain why Croatia is such a fantastic travel destination. Whether you visit the Capital Zagreb, The Pearl of the Adriatic – Dubrovnik, The Dalmatian Dream – Zadar, or Croatia’s Second City – Split. You will experience a unique place where new meets old. You’ll be able to explore Venetian and Roman historical sights and architecture, while experiencing a modern, vibrant city atmosphere. 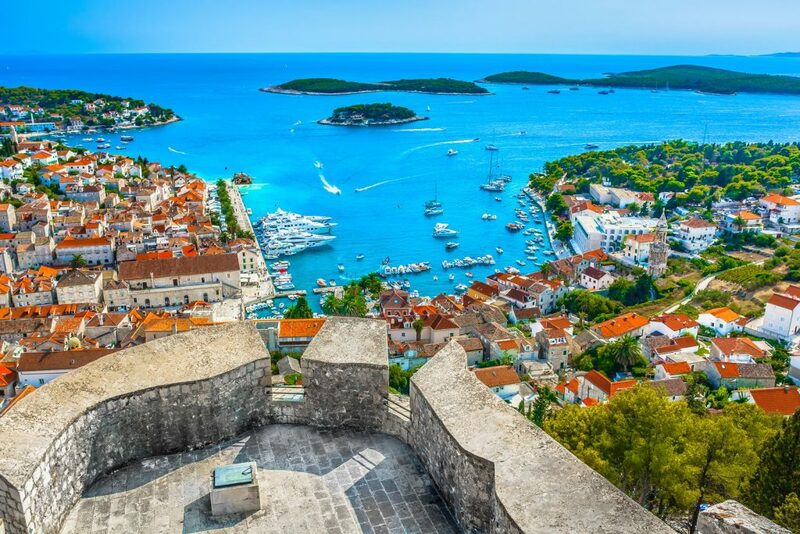 Oh, and did we mention the glorious sandy beaches of the Dalmatian Coast, and the Island paradises of Hvar and elsewhere? 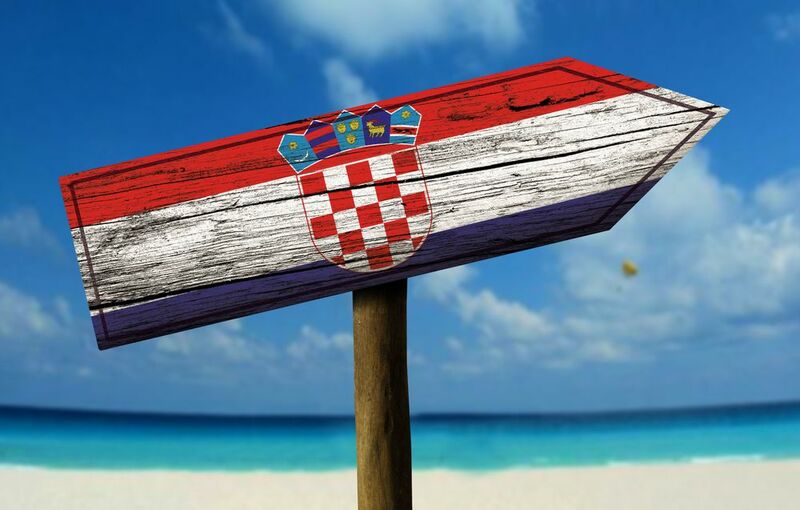 Most Croatian destinations follow the same seasonal patterns. The summer season tends to start in late April to Early October, with the high season particularly in July and August. Dubrovnik is unequivocally the busiest location. 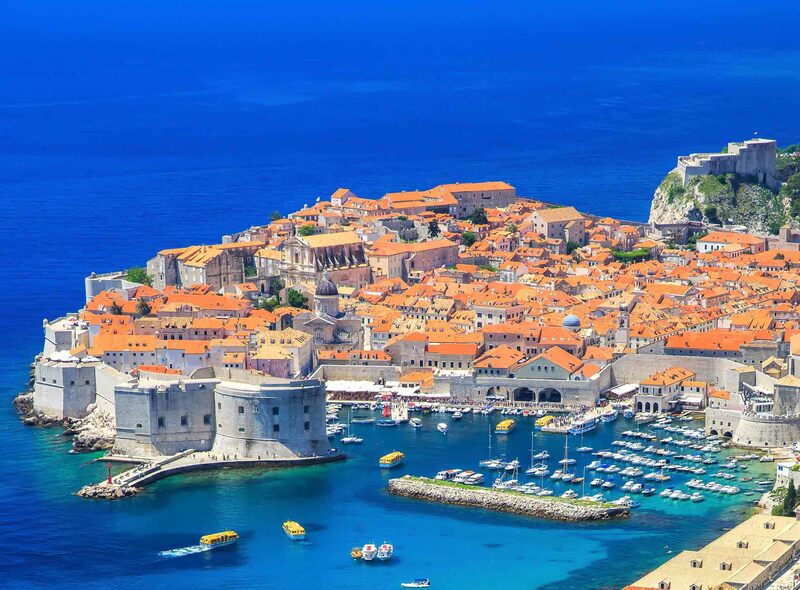 As such, it may be prudent to avoid Dubrovnik from mid-June to Mid-September and try either Zadar, which has been described as a less busy Dubrovnik, or Zagreb which empties slightly in these months as people flock to the coast. This will also probably save your wallet a battering. However, if you like the hustle and bustle of a lively tourist destination, then anytime in the summer will be perfect for you. Croatia is the perfect destination for a city-break. Most of the cities along the coast are big enough to get lost in, but small enough to be able to comfortably explore them within a 2-3 day time window. Making them the perfect destinations for a weekend break. Or an extended run down the coast hopping from town to town, and island to island. 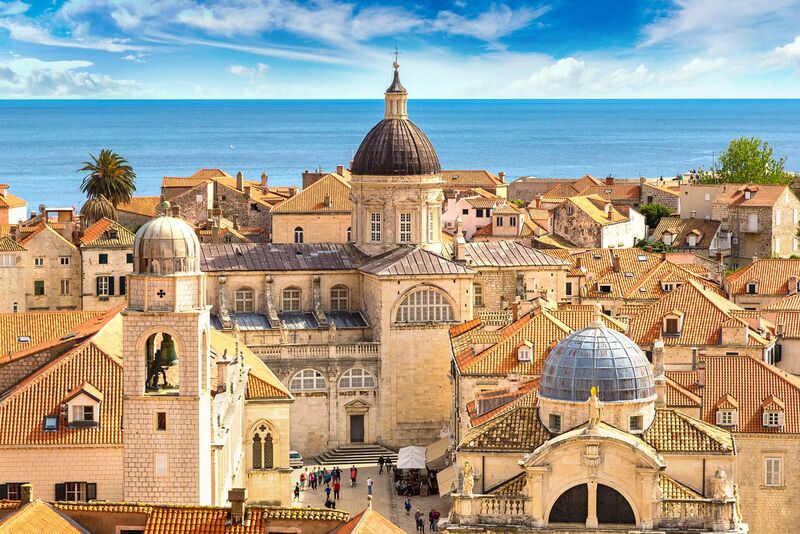 Dubrovnik is without a doubt Croatia’s star attraction. Once you penetrate the city’s magnificent walls, you will be treated to the wonders hidden within. Scale the city walls – up high on the walls of Dubrovnik you get one of the best views of the city and the sparkling Adriatic Sea below. Ride the cable car – Take the cable car to the top of the Srd for the best view of Dubrovnik, and have a bite to eat at the Panorama restaurant while you’re in the heavens. Take a Game of Thrones Tour – The hit HBO program has many filming locations in Dubrovnik, and for good reason, go check out the magical medieval sites. 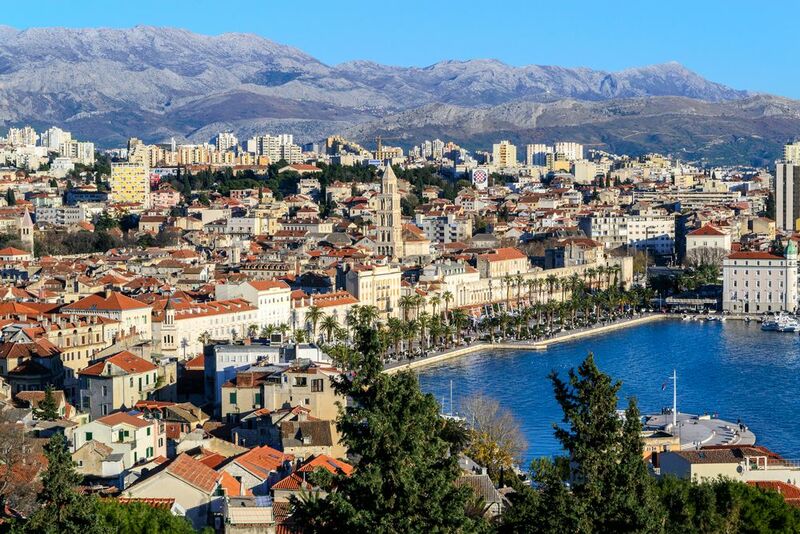 Croatia’s Second City, Split, is a city born inside-out. 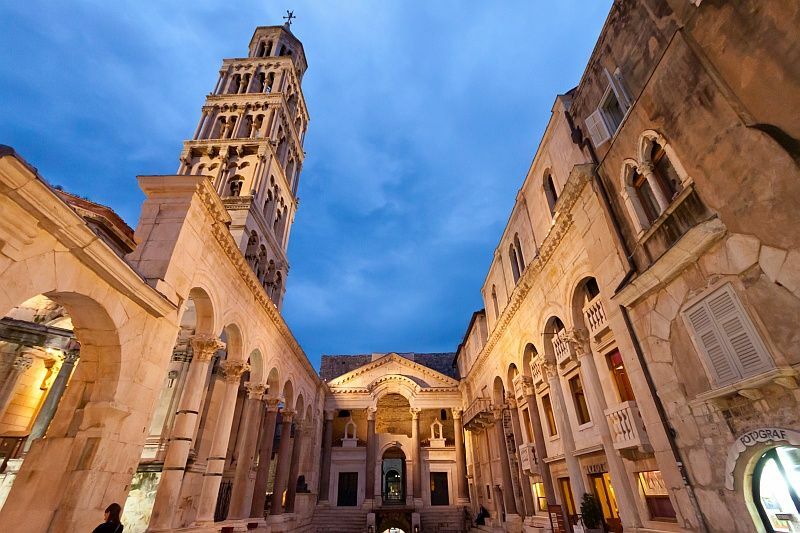 Originally built as Roman Emperor Diocletian’s retirement palace, the city has burst out of its original confines and continues to expand and grow outwards in more ways than one: both physically and culturally. 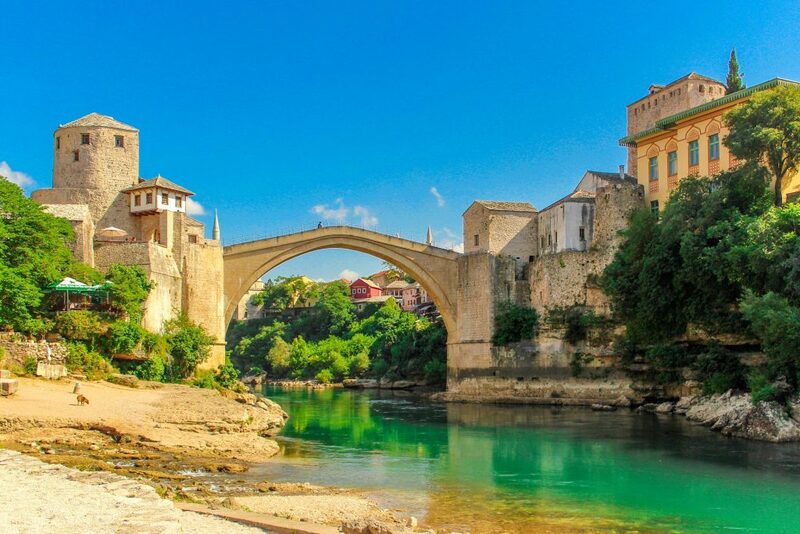 Beautifully situated, Split hugs both mountains and the sparkling Adriatic Sea. The Bell Tower of the Church of St. Dominus is one of the symbols of Split, and shouldn’t be missed! View the Peristyle – a conglomerate of ancient Roman columns made of red granite, an Egyptian sphinx, and entrance to the Palace’s basements, Cathedral, and the Temple of Jupiter. 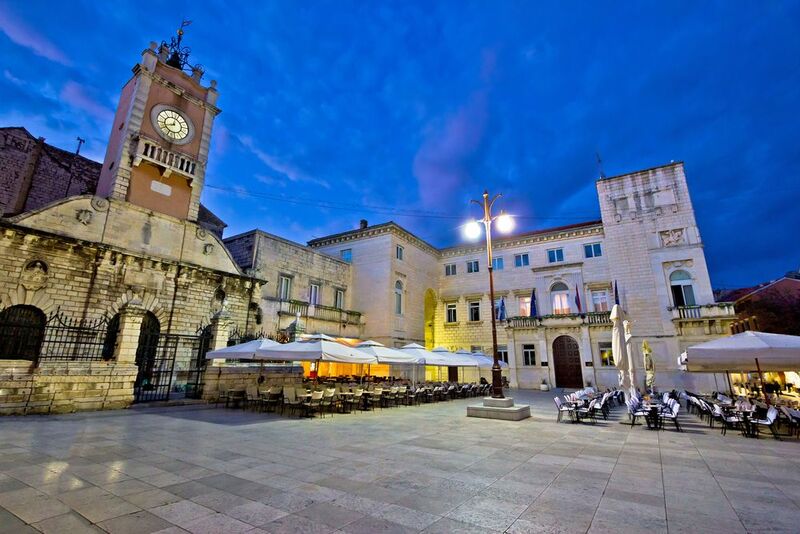 If you want the history and beauty of Dubrovnik without the crowds, then Zadar is the place for you. It certainly is Croatia without the crowds, but who knows how long this will last? Watch the sunset – Nicola Basic’s “Monument to the Sun” on the edge of the Zadar waterfront is an all-day 22-metre disc which soaks up the solar rays and dazzles spectators with patterns of lights emanating from beneath you, acting as a giant solar-powered public dance floor. Listen to the music – Zadar’s Sea Organ acts as a giant harmonica, played by the sea. The steps on the waterfront promenade have been expertly cut and had underwater pipes installed in them that give off musical notes when filled with water. Scale the walls – Zadar’s city gates and walls are a world heritage site. They truly give the best view of the surrounding area. 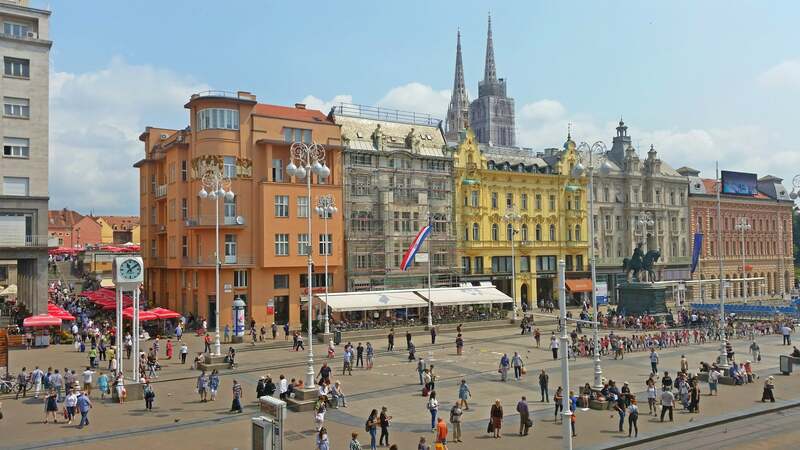 Zagreb is the must-see Croatian destination in land. It is in fact closer to Slovenia’s capital capital, Ljubljana (87 miles away), than its compatriot Dubrovnik (310 miles). This might be the best place to see the “real Croatia” that isn’t dominated by the tourism on the coast. Zagreb 360 Observation Deck – Zagreb 360 occupies the 16th floor of a building in Jelacic Square – making it the best place to visit in Zagreb for a view. Standing 600 feet above sea level, the open-air outdoor walkway allows guests the opportunity to take Zagreb photos or sit at one of the alfresco tables to sip cocktails in the clouds. Take a tour of Mirogoj Cemetery – An architectural landmark that is home to 300,000 souls. Attend mass at St. Mark’s Church Zagreb – The church is not open to the public for touring, but it is open for mass when you can get a look inside the historic church. Mass times are as follows: Monday-Friday at 6pm; Saturday at 7:30pm; Sunday at 10:30am and 6pm. 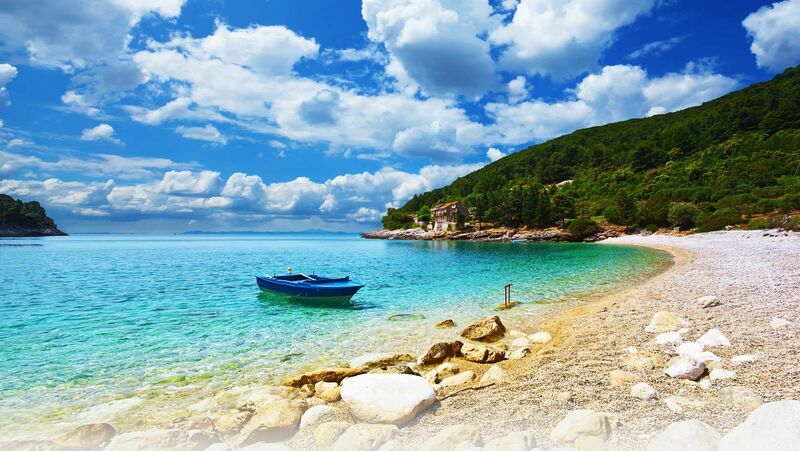 Croatia is also a perfect spot for a good old-fashioned relaxing beach holiday. 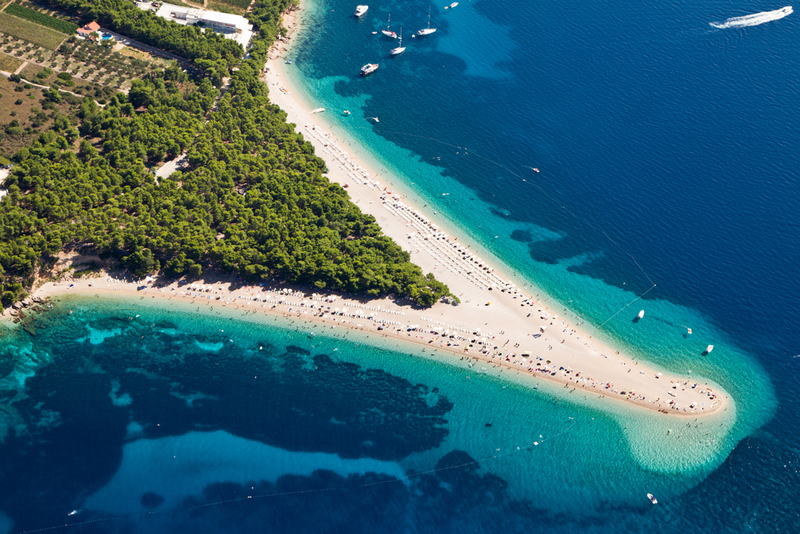 Zlatni Rat is one of the best known beaches, and I’m sure that whether you knew it or not, you’ve locked eyes on its picturesque setting in a travel brochure or two before. Dubovica Beach is located on the south side of the Island of Hvar, and is another iconic photogenic beach native to Croatia. Lucisca Beach is another famous beach of Hvar. Legend has it that the beach has certain “procreational powers”. Bacvice Beach – located in Split, the beach is a rite of passage for young men and women of the town. 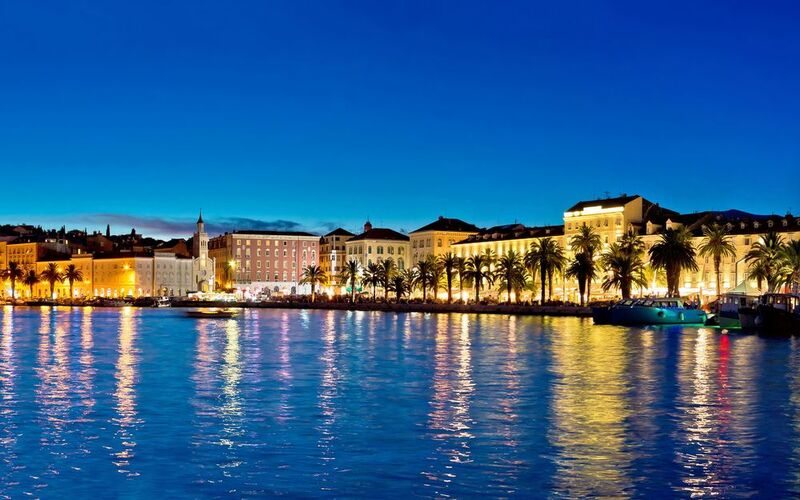 Integral to the way of life in Split, you should enjoy its magic also. Many consider Croatia’s islands to have some of the country’s greatest features. Do-it-yourself – Take individual catamaran ferries to some of the largest islands including The Island of Hvar and Korcula Island. The best route to take would be either starting in Split or Dubrovnik, seeing the two islands and finish in the opposite city. 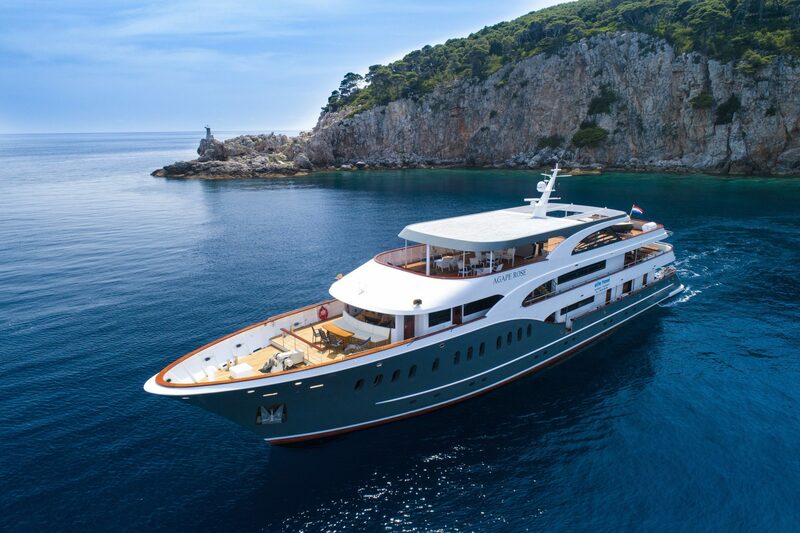 A cruise – the alternative to doing-it-yourself, there are plenty of options regarding taking a cruise around usually the two larger islands and then maybe a few small ones also. These trips typically last a week in duration. Plitvice Lakes – The park isn’t near any towns so it needs a dedicated day-trip. You’ll follow the moss-covered paths up to the photogenic waterfalls that will make you think you’re in the Amazon. Krka National Park – You can’t swim in Plitvice waters because they are protected. But you can in Krka. In season you can also take a shuttle boat up the river from Skradin. Skradinski Buk is a collection of small lakes and waterfalls. While Visovac lake is a long hike further where you’ll see its island monastery. Paklenica National Park – This park is a UNESCO biological reserve that offers the chance for numerous outdoor activities such as hiking and climbing. As well as calmer activities such a bird, bear, and wolf watching depending on how brave you’re feeling. It’s not far from Zadar, making the town a perfect base for your trip. 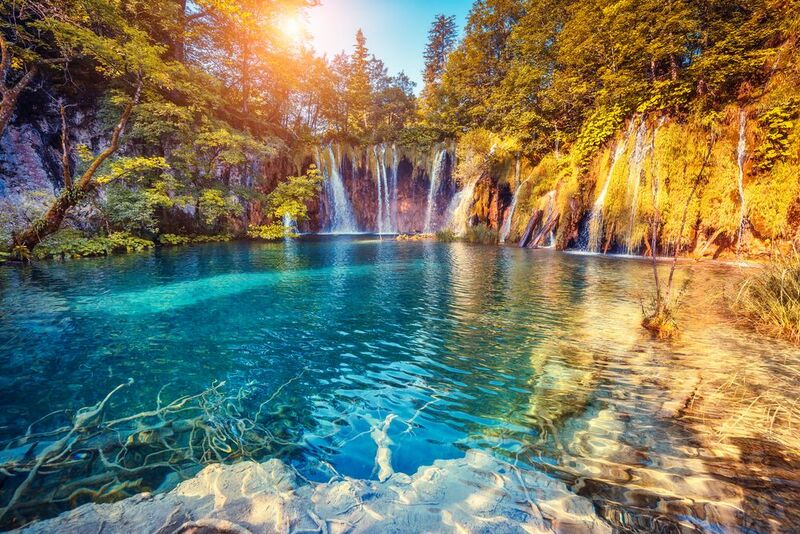 We hope that this article has illuminated you as to the wonders which Croatia has to offer. All that’s left for you to do is to experience these delights for yourselves, and find new ones along the way! Croatia has a number of events throughout the year that you want to make sure you’re in the area for. 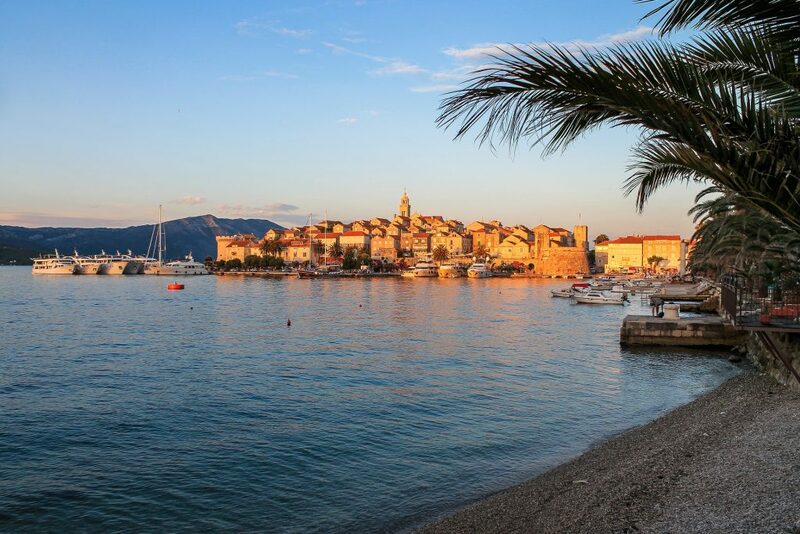 The Kvarner Festival hosts a number of famous classical musicians from all over the world. Now in its 9th year, this is a must attend event in this part of the world. Make sure you’re in Kvarner in July for this wonderful event. Ultra-Europe – This is an electronic dance music festival hosted in Poljud Stadium. It sees international DJs such as Tiesto and Steve Aoki perform. Make sure you’re in Split during July for this music extravaganza. Rijeka Carnival – In the run up to lent Rijecka holds the biggest carnival celebrations in Croatia, with a climatic parade though the town on the last Sunder before Ash Wednesday. Zagreb Design Week – Staged at Lauba art gallery, ZDW showcases up-and-coming Croatian designers of everything from furniture and cars to clothing and accessories. Various notable foreign designers also attend, featuring talks and workshops. Make sure you’re in the capital during May for this unique event. Dubrovnik Summer Festival – Dubrovnik Summer Festival sees international musicians and actors performing at open-air venues within the medieval city walls. Usually held in either July or August, this event has seen the likes of The Kooks and others perform. It has something for all ages, young and old.